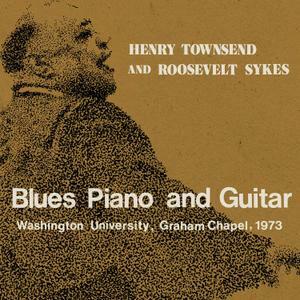 Legendary St. Louis bluesmen Roosevelt Sykes and Henry Townsend met in the mid-1920s when Townsend was looking to learn the piano to augment his guitar playing. 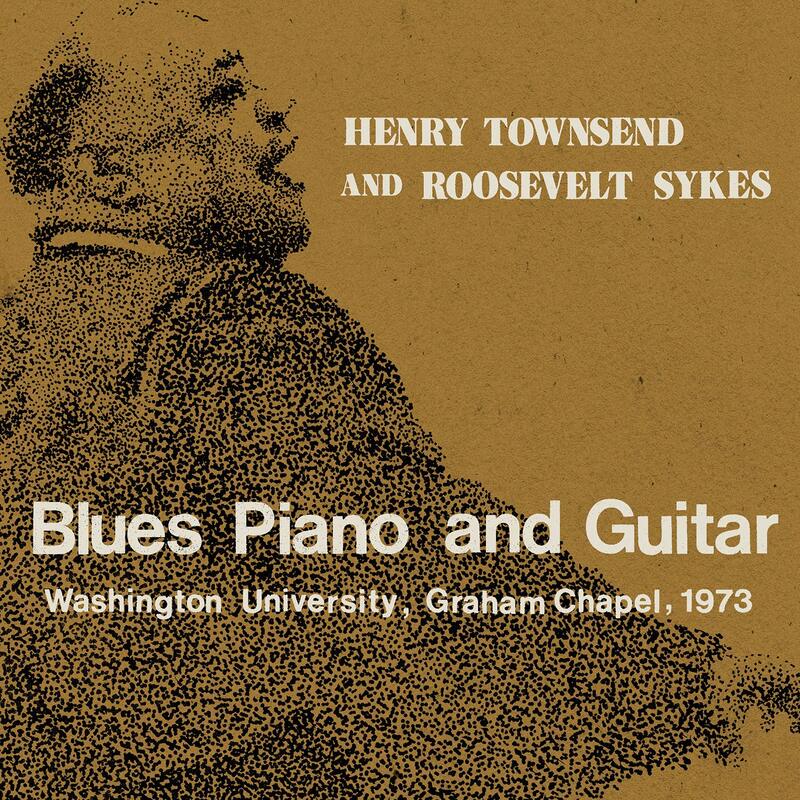 It was the local Sykes brothers, specifically barrelhouse-style pianist, Roosevelt who gave Townsend the pointers he was looking for on the keys. The two started a lifelong friendship as well as a professional relationship. Over the next five decades, Sykes became one of the most prolific blues pianist of all time, while Townsend added his guitar work to classics by Walter Davis, Big Joe Williams, Robert Nighthawk and many others, eventually winning the National Heritage Award from the National Endowment for the Arts in 1987. He was inducted into the Blues Hall of Fame in 1999 and is one of the only artists known to have recorded in nine consecutive decades. A reunion concert between these old friends was arranged at Washington University on February 3, 1973. Over the course of the evening, the two men backed each other, played some of their hits, welcomed Henry’s wife Vernell in on vocals on a couple tunes and gave the audience a special night to remember. Nighthawk Records founder Leroy Jodie Peterson was in attendance, as was his recording equipment, with pal Steve Fuller making sure it laid down to tape properly. Now for the first time, we get to listen in on that reunion evening. Featuring 30 previously unissued performances from these blues icons, Blues Piano And Guitar captures this historic event—the first of several reunions before Sykes’ death in 1983. The 2-CD set also features rare photos, and a new essay from Pierson. So, head back to St. Louis in 1973 and experience a special night between two friends who also happened to be 20th century blues icons, with Blues Piano And Guitar.